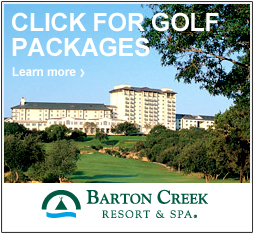 One of the leading and most respected golf instructional schools in Texas, the Barton Creek Golf Academy at the Fazio Canyons golf course offers players of all abilities the chance to improve their game utilizing state-of-the-art systems and proven golf technique instruction. Half-, two- or three-day golf school courses are available, with all classes taught by some of the most expertly trained instructors in the United States. In addition to the half day to three-day Golf Academy classes, individual and group instruction, game analysis and club fitting is available. Call us at 512-301-1054 for more details. Just a note of thanks to the instructors at the Barton Creek Golf Academy! I had a truly enjoyable, informative time at the Academy and certainly saw a huge improvement in my golf swing and more importantly LOWER SCORES!